2. Place fresh or thawed shrimp in a single layer on a foil-lined baking sheet. 3. Pour butter over the shrimp. 4. Season with Italian seasoning or sea salt and pepper. 5. 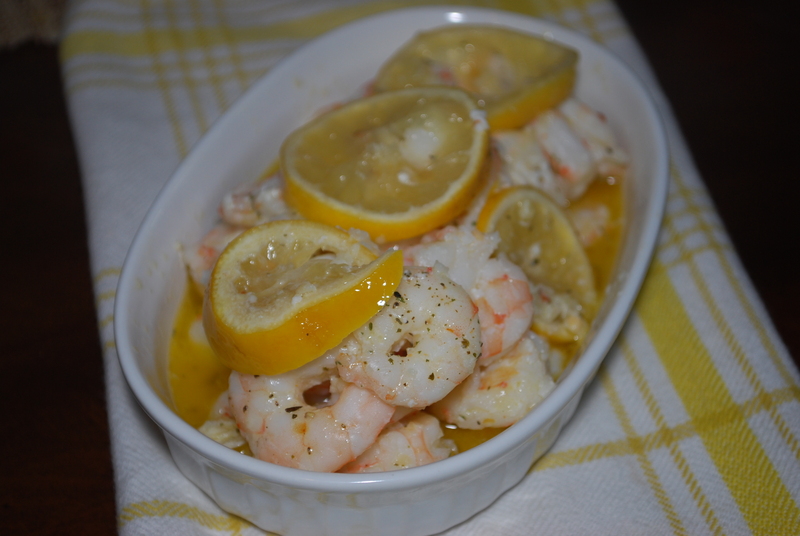 Place lemon slices on top of shrimp. 6. Bake in the oven for 15 minutes and enjoy! 1. Using your hands, mix all ingredients together. Form the mixture into large meatballs (baseball sized) and place them into the bottom of a slow cooker, stacking them if necessary. 1. 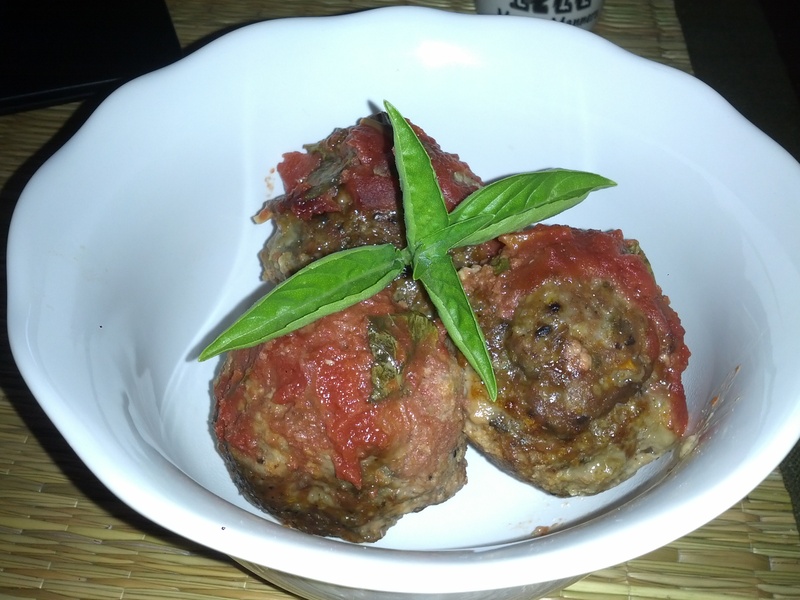 Cover the meatballs with the tomato sauce and cook 6-8 hours on low. 2. 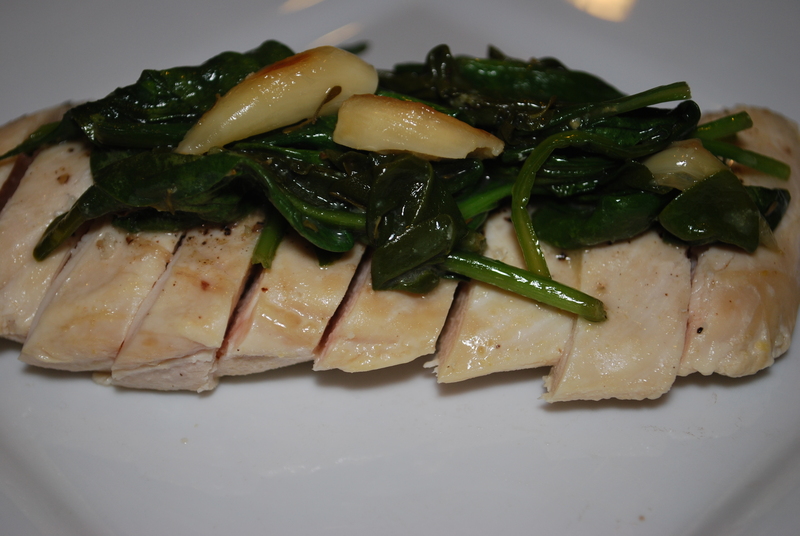 Cut the chicken breasts into thin strips (width-wise). Not too thin, the bacon has to brown and if the chicken is too thin it’ll get dry before the bacon gets crispy. 3. Combine honey with mustard. Squeeze in lemon juice and mix. 4. Wrap the bacon around the chicken strips (I cut mine in half). 5. Place them in a roasting tray or on a cookie sheet–lined with some foil for easier clean up. *It would be a good idea to place the chicken bites on baking racks to allow grease to drain. 6. Brush the chicken bites with half the marinade. Bake for 10-13 minutes, or until bacon is crispy. 7. Take tray out of the oven, flip chicken, and brush with remaining marinade. Bake for another 10-13 minutes, or until bacon is crispy. 8. 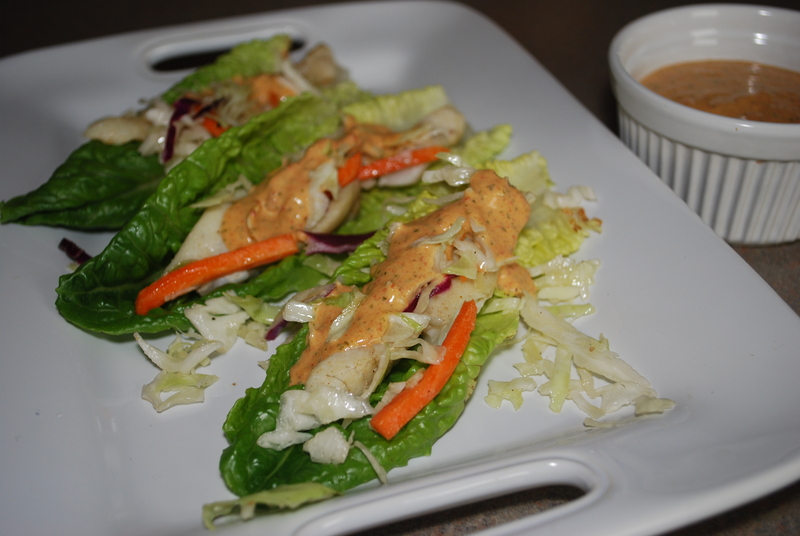 Serve with Honey Mustard Sauce, if desired. *Warning: these are delicious, so you might want to make two batches! 2. 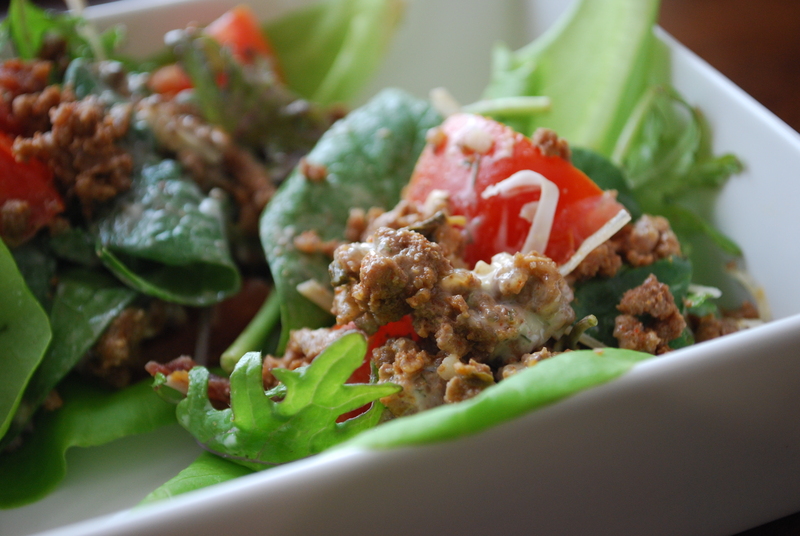 Chop the spinach in your food processor and add to a bowl with ground turkey, egg and spices. Sprinkle in some nutritional yeast like you would cheese-to get some extra B vitamins. 3. Mix everything by hand until well combined. 4. 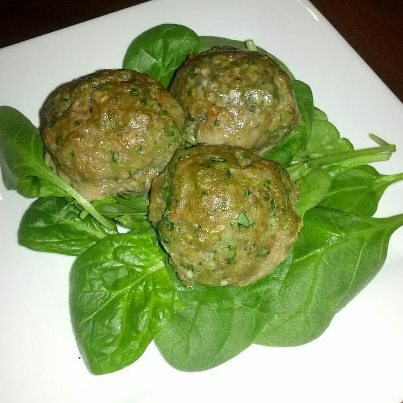 Scoop 1 to 2 Tbsp of meat dough, roll into balls and place on a baking sheet lined with parchment paper. 5. Bake for 20 minutes, or until meat is cooked through. 1. 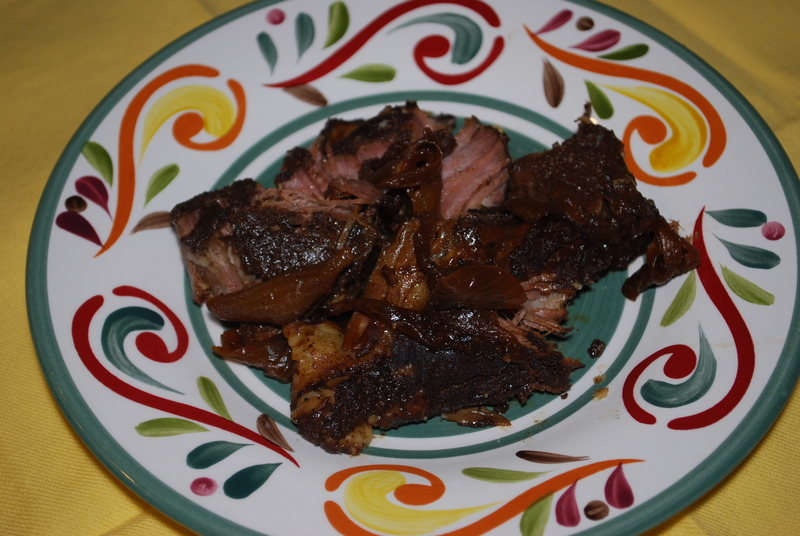 Place ribs standing upright in crock pot (it sounds weird, but trust me). 2. Pour in sherry and water. Sprinkle with Worcestershire sauce and salt and pepper. 3. Pour barbecue sauce over ribs. 4. Cook on low approximately 8 hours. 5. 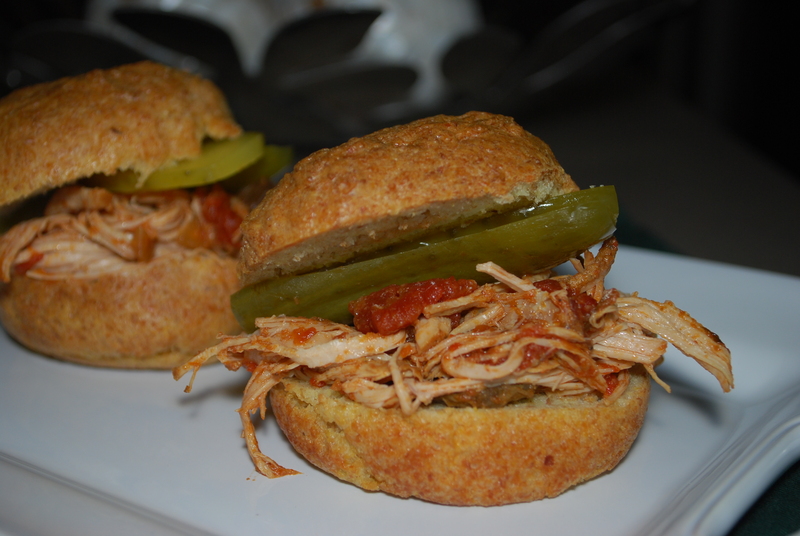 Serve with additional barbecue sauce for dipping. 2. In a large bowl, whisk together all of the marinade ingredients. 3. 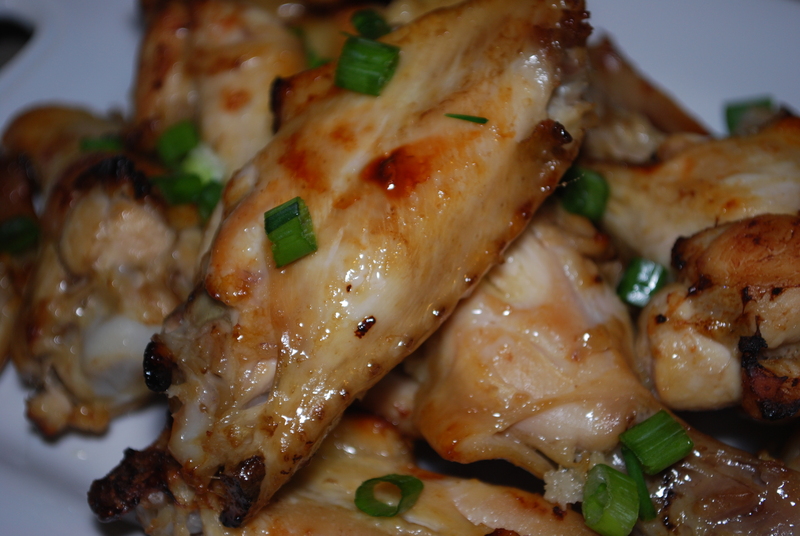 Add the chicken wings to the bowl of marinade and mix well until all the wings are coated. Let the wings marinate for at least 30 minutes but 1-2 hours is best. 4. Line a baking sheet with foil and place one wing at a time on the baking sheet, making sure to shake off any excess marinade and do not crowd the wings onto the sheet. 5. Bake for 35-40 minutes turning over half way through cooking time. Serve sprinkled with the sesame seeds and sliced green onions. 1. Cut pork roast into ½ inch cubes. 2. Heat the coconut oil over medium high in a large soup pot and add the pork once the oil is hot enough that it sizzles when you add a piece of meat. 3. Brown the pork pieces for 4-5 minutes and remove the pork from the pan with a slotted spoon and set aside. 4. Add the onions and garlic to the oil and pork drippings and sauté for 7-10 min or until the onions start to brown. Turn the heat down a bit and add the cumin, paprika and black pepper to the onions and garlic and mix well (it will be kind of pasty). 5. Add the chicken broth to the onion mixture and mix well, making sure to scrape all the goodness off the bottom of the pan. 6. Add the pork back to the soup pot into the liquid and bring to a boil. Turn down to low. 7. While the meat simmers, peel and wash the tomatillos. Dry them well and in a large skillet over medium heat char them along with the jalapeno turning often, until the skins start to blacken (about 10 minutes). 8. Place the charred tomatillos, jalapeno, cilantro, and lime juice into a food processor or blender and blend until smooth. 9. 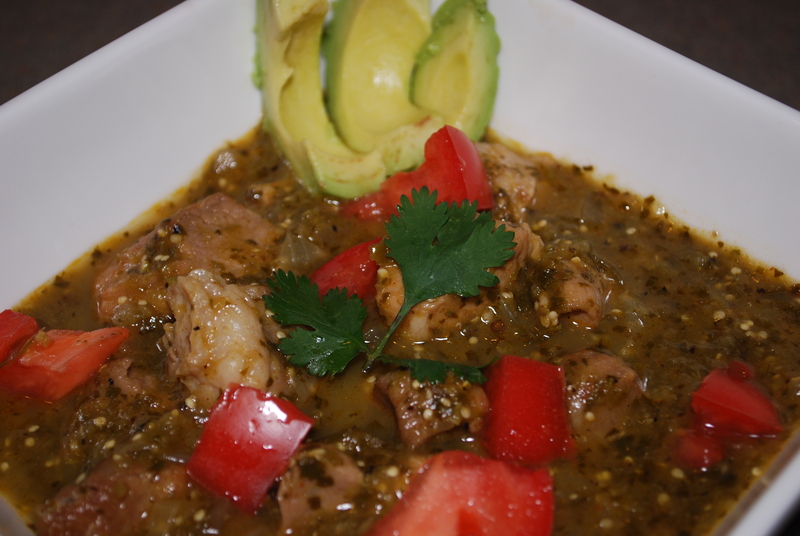 Add to the pork in the soup pot and simmer for 2 to 2 ½ hours or until the pork is fall apart tender. The sauce will reduce down and become thicker over the course of the cooking process. 2. Dice carrots and spinach in food processor for easy chopping. 3. 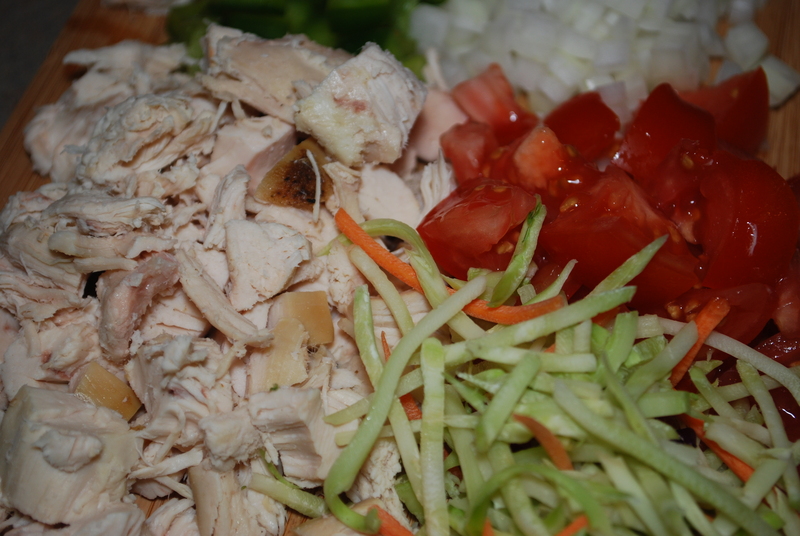 In a large mixing bowl, mix together the meat, all the seasonings, and the diced veggies. 4. Grease a muffin tin with coconut oil or ghee. I used my silicone baking cups. 5. Measure out 1/3 cup meat mixture into each muffin space. 6. 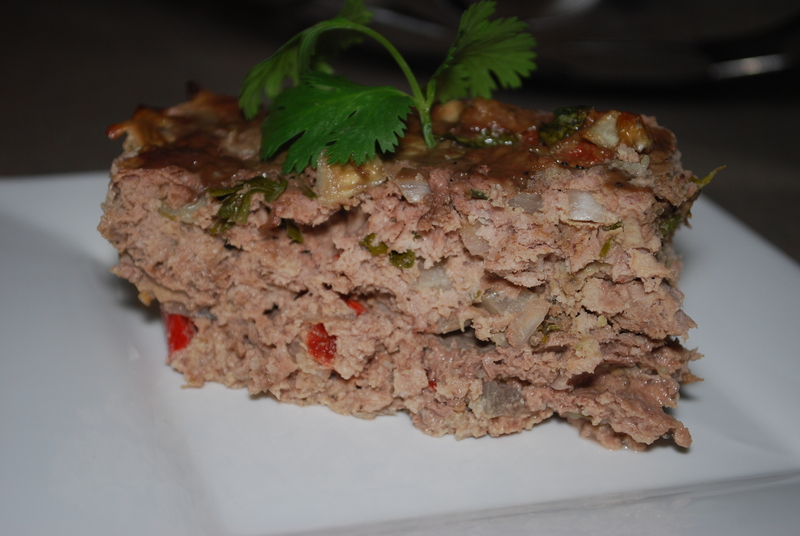 Spread a generous amount of Organic ketchup or BBQ sauce on the top of each mini meatloaf and bake for 15-20 minutes or until the meatloaves are no longer pink in the middle. Makes about 22 cupcakes. 2. Remove the giblets from the chicken and save them to add to Homemade Chicken Broth if you like. 3. Rinse the chicken and dry it well with paper towels. 5. Generously sprinkle the entire chicken with plenty of sea salt, dried parsley, and pepper. 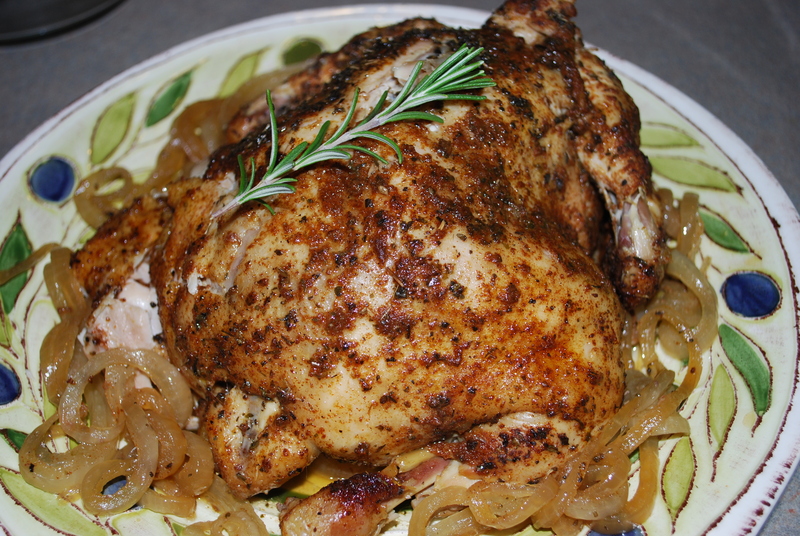 Rub entire chicken with regular or mesquite olive oil to keep it moist. 8. 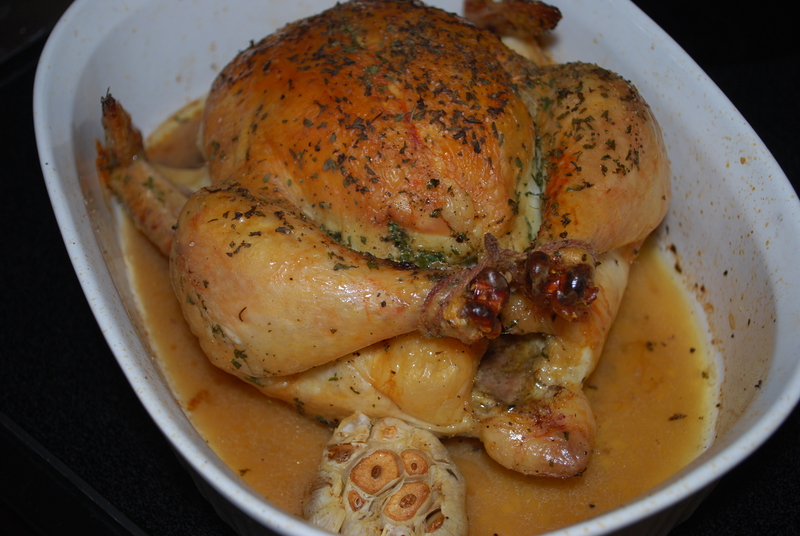 Roast the bird uncovered in the preheated oven for 30 minutes, add the garlic bulbs to the roasting pan next to the chicken, and cook for another 45 minutes to an hour or until the chicken is brown and crispy and reaches an internal temperature of 190°F. *You might want to check beforehand since your chicken could be done sooner. 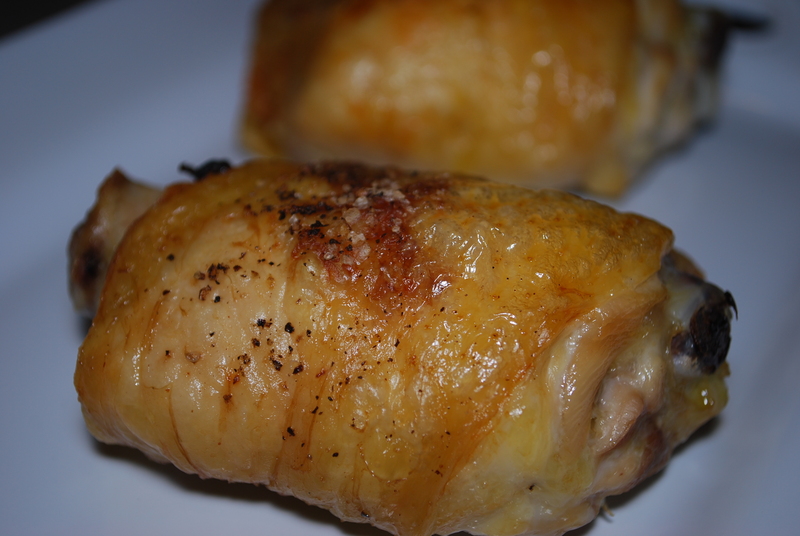 * Eat with the roasted garlic spread on pieces of the chicken. 9. Save carcass for Golden Chicken Stock! 1. In a large skillet over medium heat, cook the bacon until crispy. Remove bacon to paper towels. 2. Pour off the bacon grease, reserving about 1 TBSP in the pan. 3. Return pan to heat, and add celery, green onion, red pepper, and mushrooms, cooking until vegetables are softened. Add Cajun seasoning and stir. 4. 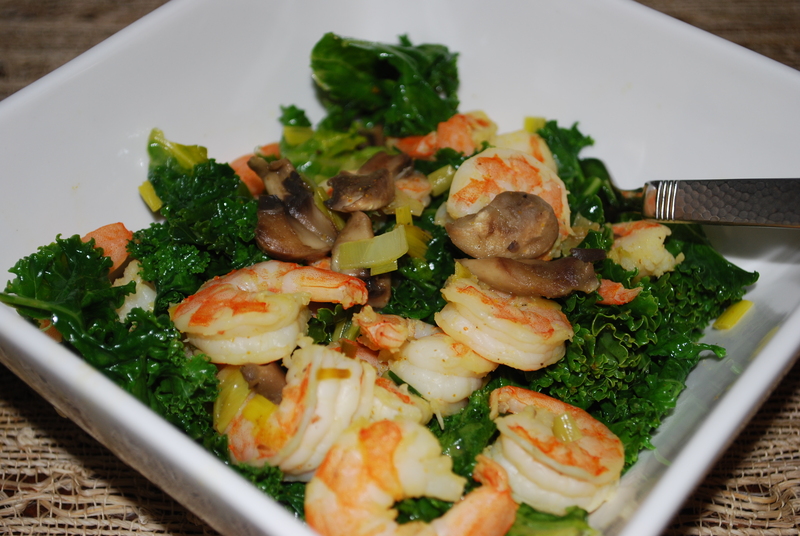 In a medium bowl, coat the shrimp with the almond flour. Add to pan along with garlic, and sauté until shrimp are just pink. 5. Stir in sherry, chicken stock and lemon juice, being sure to loosen any browned bits on the bottom of the skillet. 6. Simmer for 5-8 minutes to reduce liquid. 7. 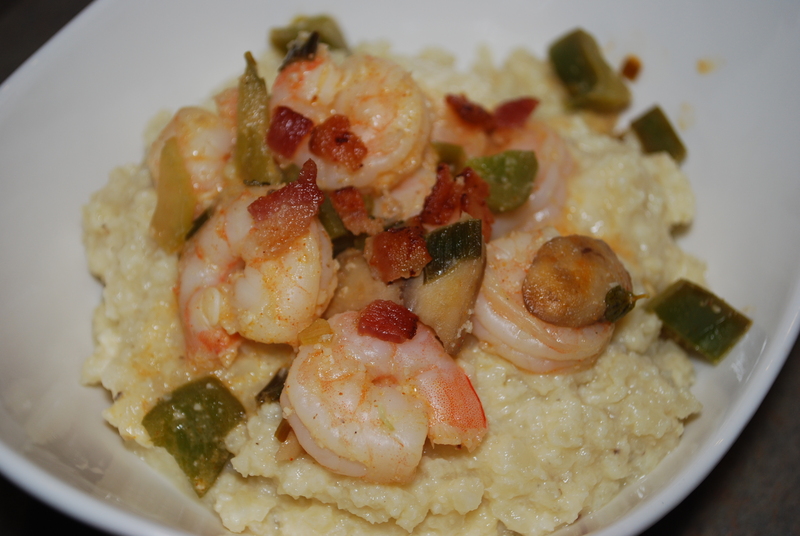 Serve shrimp over Paleo Grits. 1. Mix cauliflower, almond meal, and chicken stock over medium heat in large sauce pan. 2. Cover and reduce heat to medium/medium-low, simmering for 20 minutes–stirring every 5 minutes or so–until the liquid is absorbed. (If it’s still not soaking in, raise the temperature a little and remove the lid). 1. Rinse pork under cold water and pat dry with a paper towel. 2. 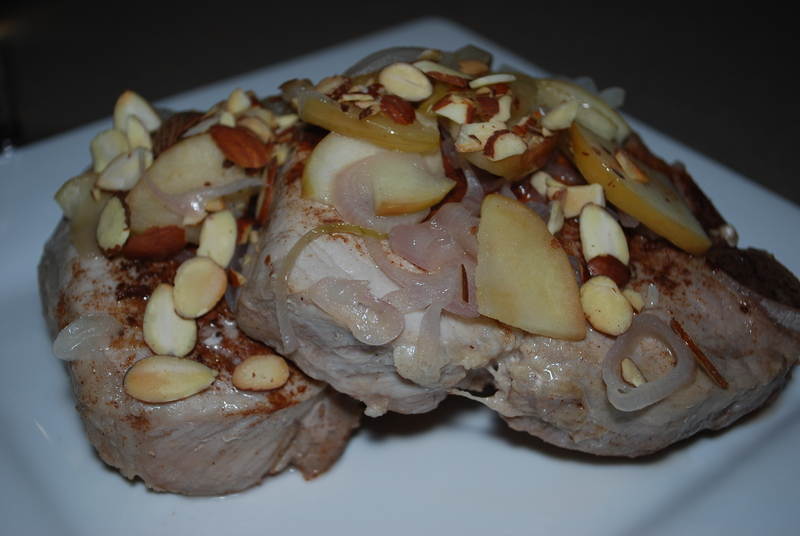 Cut slits into the entire pork shoulder and stud with cloves of garlic. 3. Place pork in crock pot and cover with chicken broth. 4. Cook pork on LOW for 8 hours. 5. While the pork is cooking, make the barbecue sauce. 6. After 8 hours of cooking, remove the pork from the crock pot, and let cool. 7. Discard thick layers of fat, connective tissue, or veins. 8. Shred pork by pulling apart the meat using two forks (it literally falls apart!). 9. 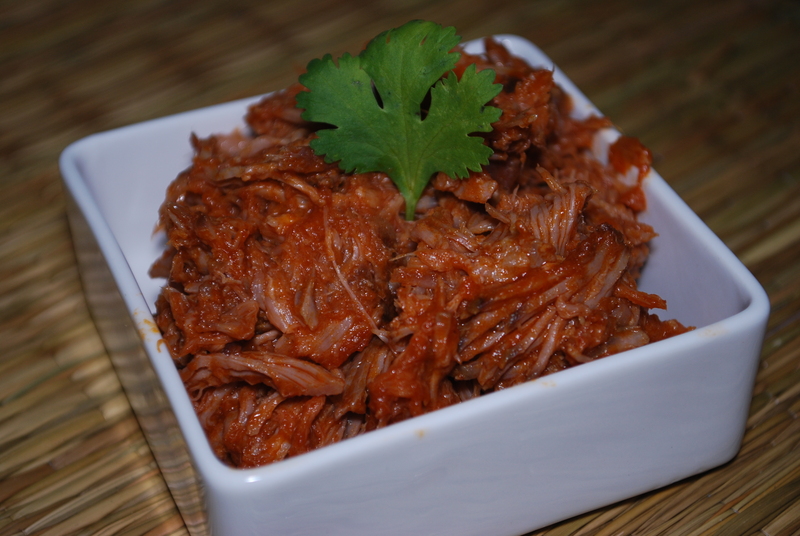 Toss pork with barbecue sauce, garnish with avocado slices, and enjoy! 1. Cook bacon until crispy in a skillet on medium heat, flipping as needed. 2. 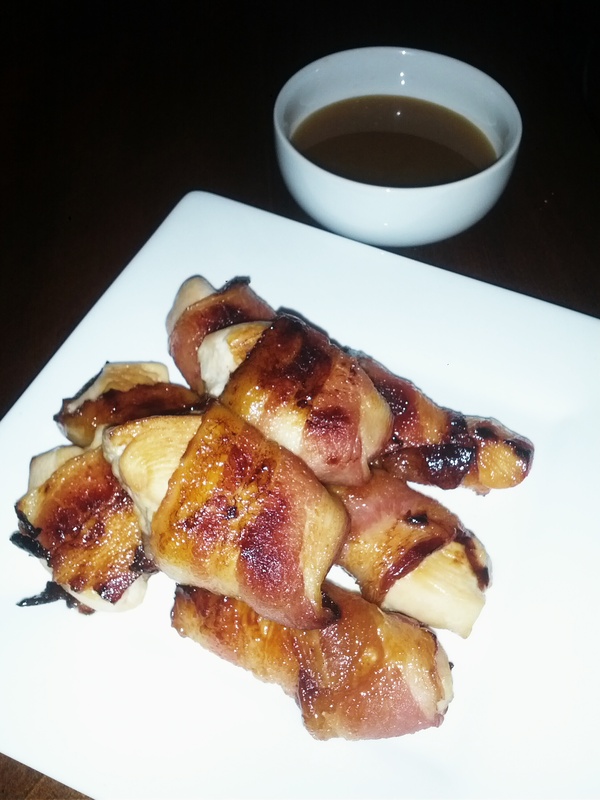 Remove from heat, and place bacon on a plate lined with paper towels to cool. 4. 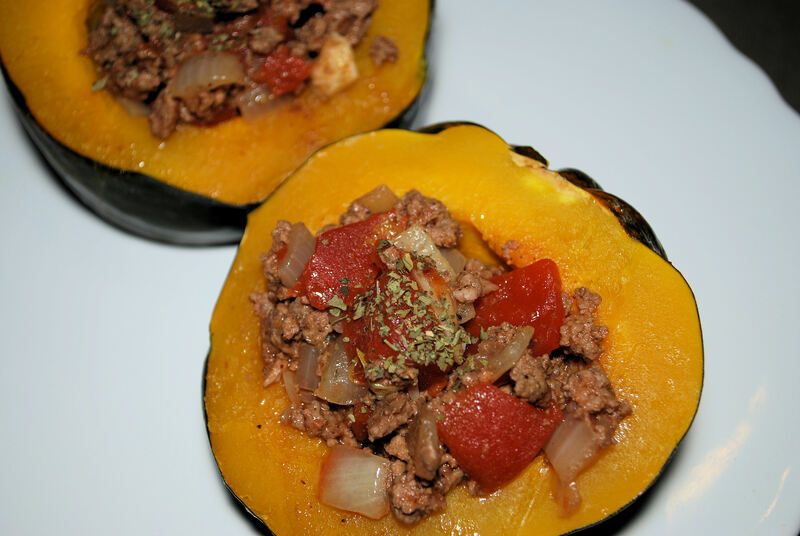 In a large mixing bowl, combine ground meat with salt, pepper, garlic powder, onion powder, and smoked paprika. 5. Form ground meat into 4 equal-sized burger patties. 6. Grill burgers 4-5 minutes per side. 7. Remove from grill and set aside. 8. Carefully place tomato slices on the grill (or in skillet with leftover bacon grease). 9. Grill tomato slices 3 minutes per side. 10. Remove tomatoes from grill. 11. 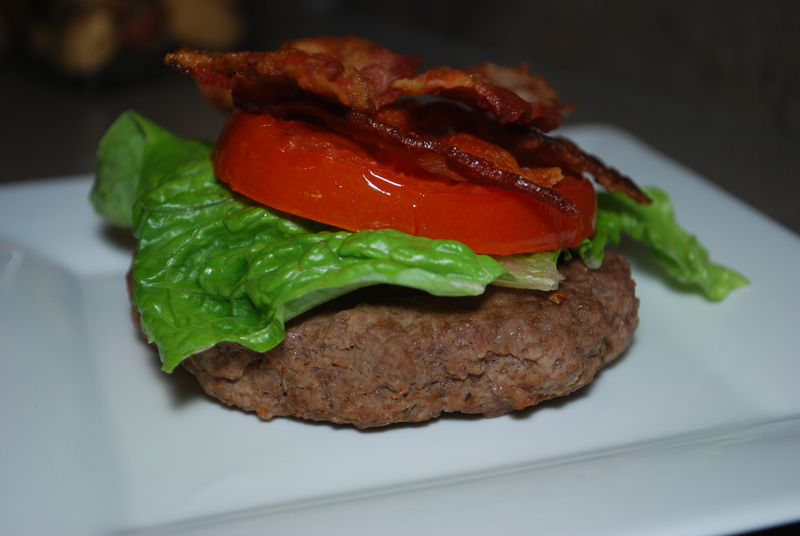 Top the burgers with lettuce, tomato, bacon, and serve. 1. Rinse scallops with cold water and pat dry with a paper towel, set aside. 2. Heat coconut oil in a frying pan. 3. Add minced shallots to coconut oil and sauté until shallots are translucent. 4. Add scallops to frying pan, and sprinkle with salt and pepper. 5. 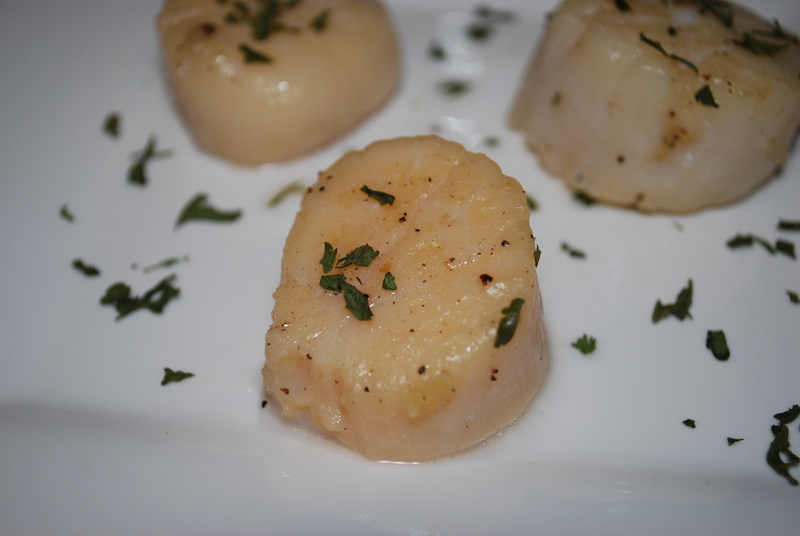 Sear scallops for approximately 2-3 minutes per side. 1. Brown bison in a large skillet over medium heat. 2. Once bison in no longer pink, top with seasonings and stir until meat is evenly coated in spices. 3. Remove seasoned meat and allow to cool slightly. 4. Rinse, dry, and prepare all vegetables. 5. Plate 2 cups lettuce per serving, and top each place with red bell pepper, red onion, cherry tomatoes, ground bison, avocado, cilantro, and freshly squeezed lemon. 1. Preheat oven to bake at 425°F. 2. Rinse chicken thighs under cold water and place in a broiler pan (or cookie sheet with cooling rack on top). 3. Pat thighs dry with a paper towel. 4. Gently separate skin from thigh, without removing it completely from the corners. 5. Place shallots and garlic under the skin. 6. Sprinkle the skin with salt and pepper. 7. Bake for 40-45 minutes, or until juices run clear (at about 165° with meat thermometer). 2. Combine ground lamb and spices in a mixing bowl. 3. Add in egg, and stir until evenly distributed. 4. Form mixture into golf-ball-sized pieces. 5. Place on a parchment-lined metal baking sheet. 6. Bake at 350°F for 25 minutes. 7. Cut zucchini into “noodles” with a mandoline. 8. Sauté zucchini in a skillet with 1 tablespoon coconut oil, garlic, salt, and pepper. 9. Sauté until zucchini is soft and noodle-like. 10, Toss noodles with mint pesto, then top with lamb meatballs and serve. Notes: Be aware when cooking the zucchini “noodles” that they will become soft and slightly mushy if overcooked. For a more “al dente” bite, lightly sauté the zucchini for 2–4 minutes until they have just slightly softened. 1. Pulse mint in a food processor or high-speed blender. 2. Add walnuts, and continue to pulse. 3. Add olive oil, lemon juice, and salt, and blend until smooth. 4. Garnish with a mint leaf or finely chopped walnuts. 5. 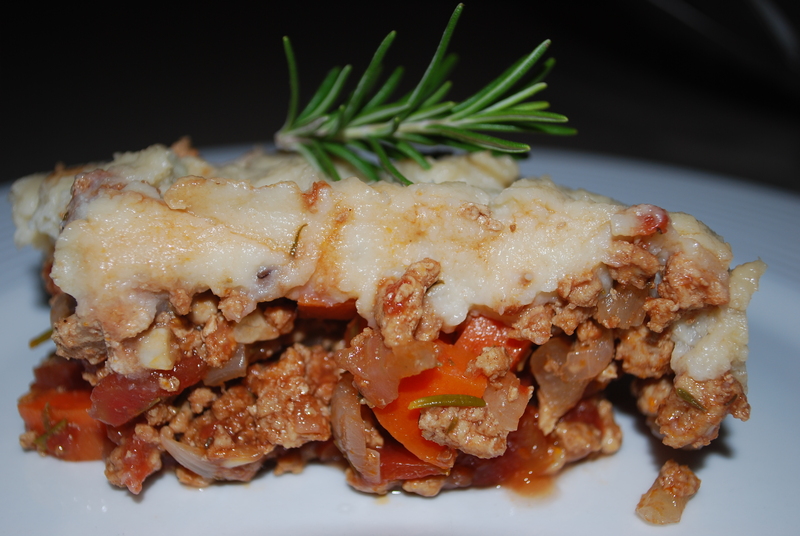 Serve with lamb meatballs. 1. In a large skillet, heat the coconut oil over medium heat. 2. Add the onions and bell peppers and cook until defrosted and sizzling if using the frozen or until the veggies become tender if using fresh. 3. Add the shrimp and the spinach and cook for 3-4 minutes or until the shrimp curls up and is no longer opaque in the middle. 4. 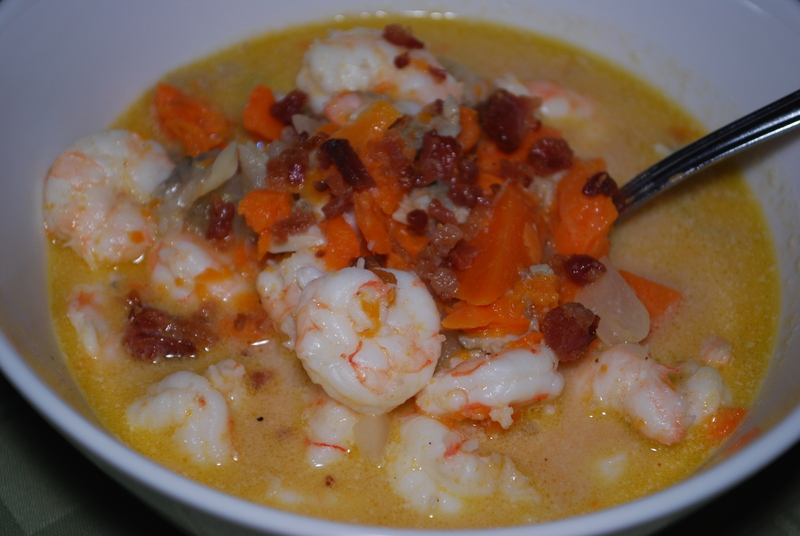 Add the coconut milk and spices, mix well and serve! Serves 3-4. 2. Rinse chicken breasts under cold water, pat dry with a paper towel, and place in a baking dish. 3. 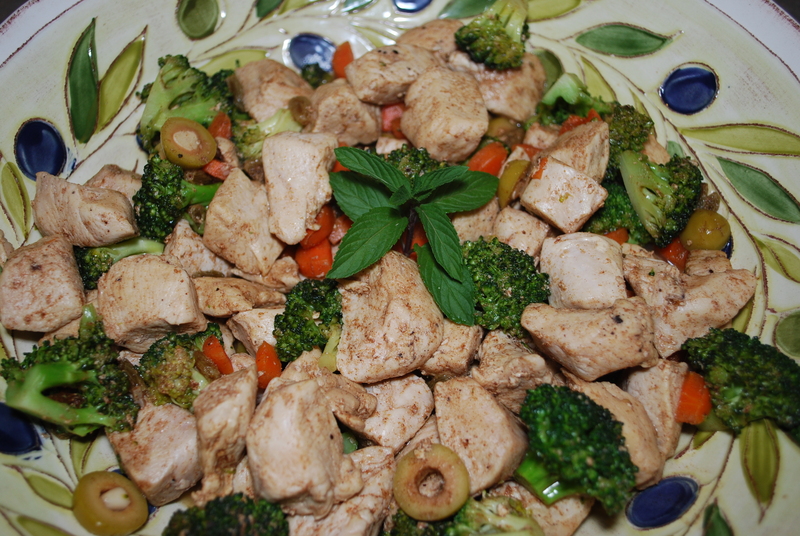 Drizzle olive oil over all 3 chicken breasts, and lightly rub to evenly distribute the oil. 4. 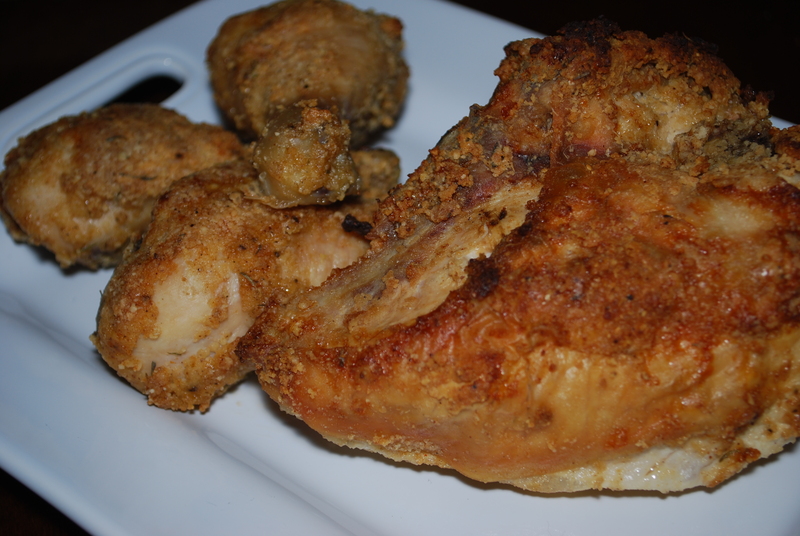 Sprinkle salt and pepper over chicken. 5. 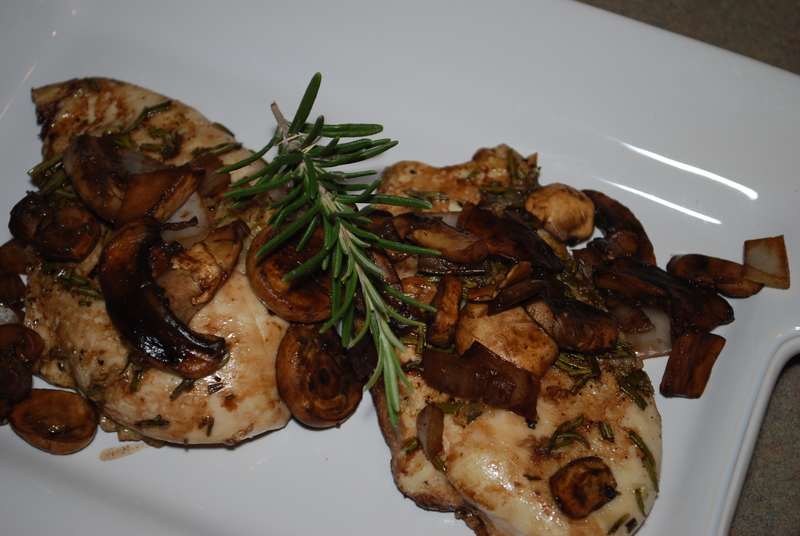 Press fresh garlic and rosemary into chicken breasts. 6. Roast at 400°F for about 20–25 minutes or until the meat yields an internal temperature of 170°F. 7. 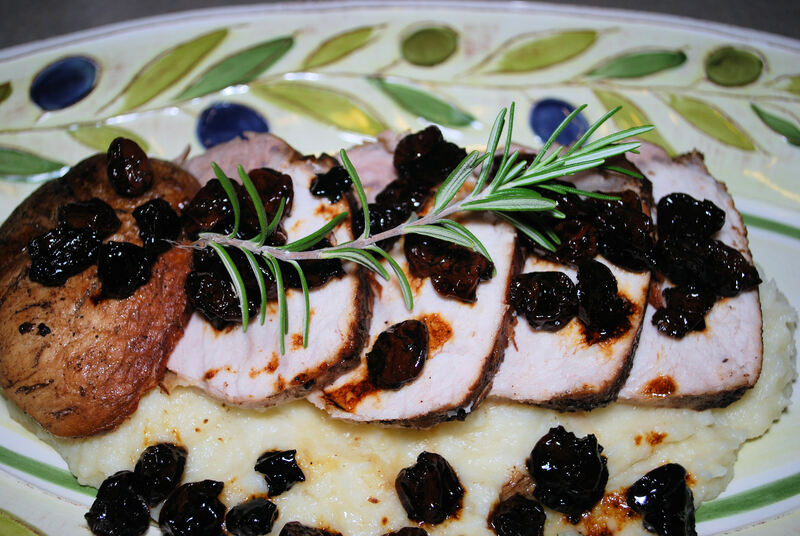 Remove chicken from oven and pour ¼ cup balsamic vinegar over fully cooked chicken breasts. 8. 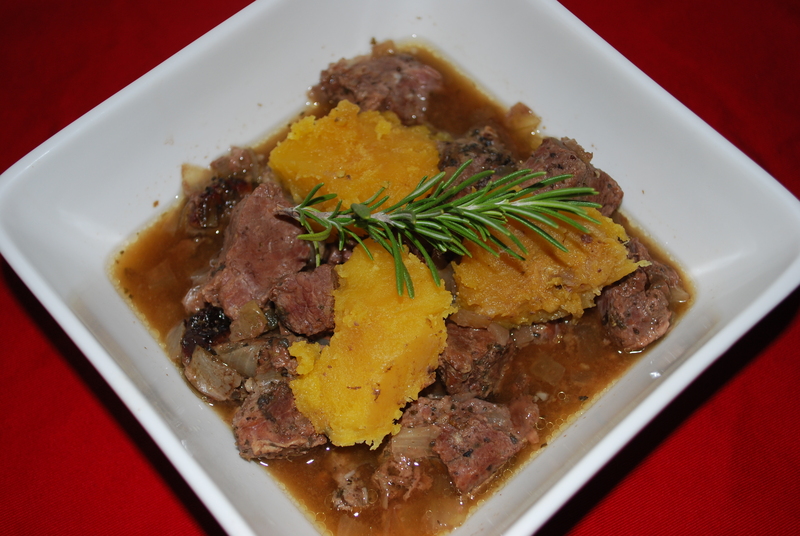 Serve with a fresh sprig of rosemary. 3. Spread mixture evenly in an 8½ X 11-inch baking dish. 4. Bake for 45 minutes or until well cooked. Serves 8. 1. Brush both sides of your eggplant rounds with coconut oil and sprinkle with sea salt. 2. Broil the eggplant rounds under you broiler on high heat for 4-5 minutes on one side, flip and broil for 3-4 minutes on the other side or until they are tender and start to brown. 3. In the meantime, pan fry your sausage patties until done all the way through. 4. Poach some eggs, slice the tomatoes, dice the sun-dried tomatoes, and mince the parsley. 5. Now you stack. 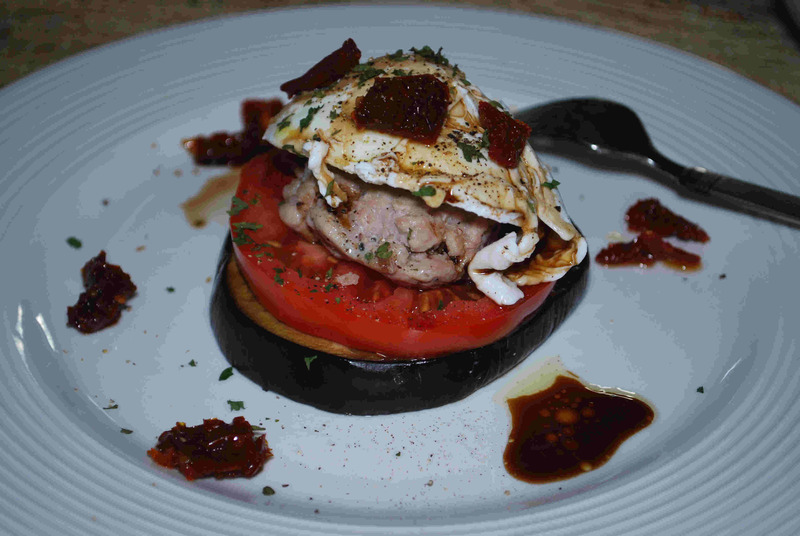 Place a roasted eggplant round on a plate, top with a tomato slice, a sausage patty, some diced sun-dried tomatoes, and a little bit of parsley. 6. Finish it all with a drizzle of olive oil, balsamic vinegar, and black pepper to taste. 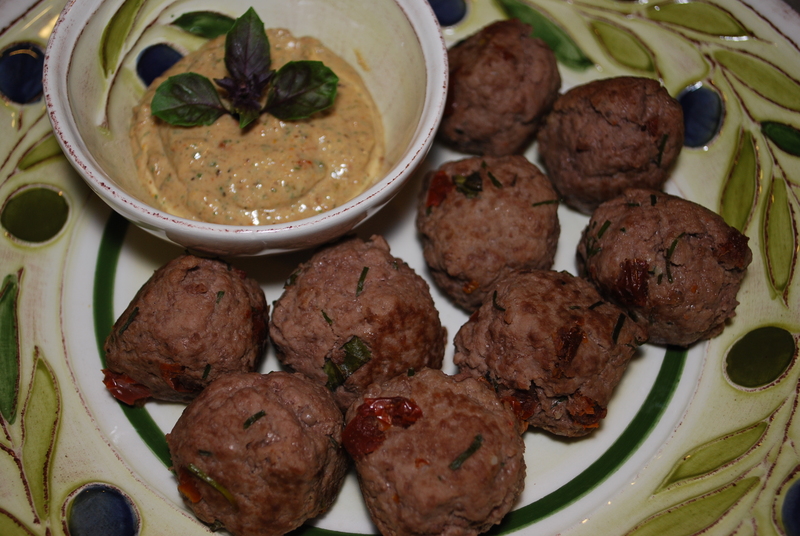 To serve, spoon some of the pesto over the meatballs. 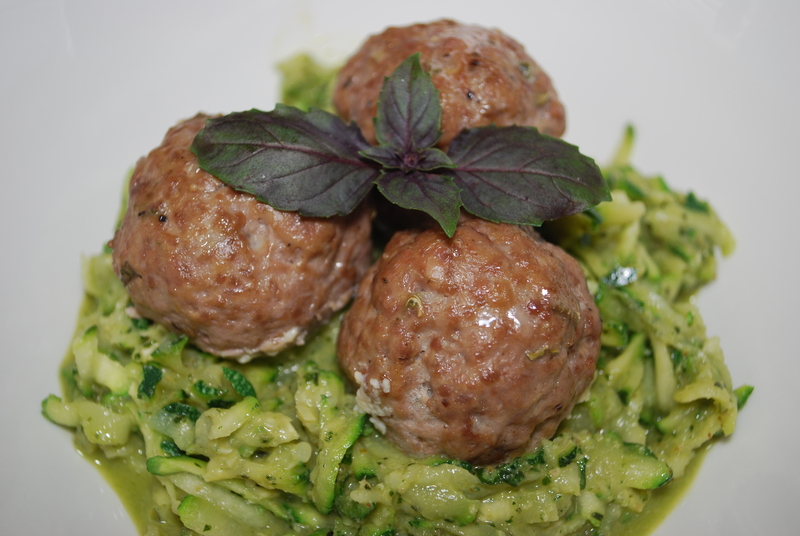 I served our meatballs with pesto sauce over some sautéed zucchini. 3. Remove the stems and set them aside and carefully scoop out the feathery insides of the mushrooms with a spoon. 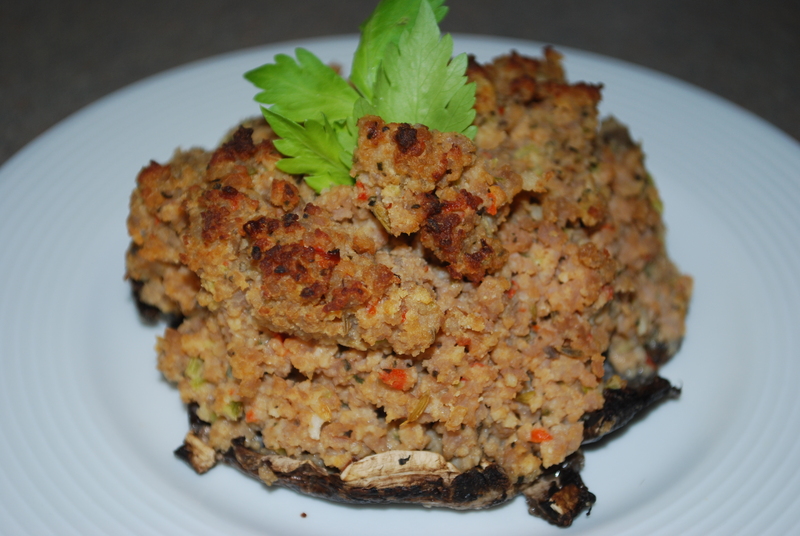 Rub the outsides of the mushrooms with olive oil and place cap down in a large glass baking dish. 4. Dice the bell peppers, onions, celery stalks, and mushroom stems. 5. In a large soup pot brown the sausage and ground beef, add the bell peppers, onions, celery, and mushrooms and cook until the veggies are tender. 6. Move the meat/veggie mixture to a food processor and add all the spices, the egg, olive oil and the coconut flour. 7. 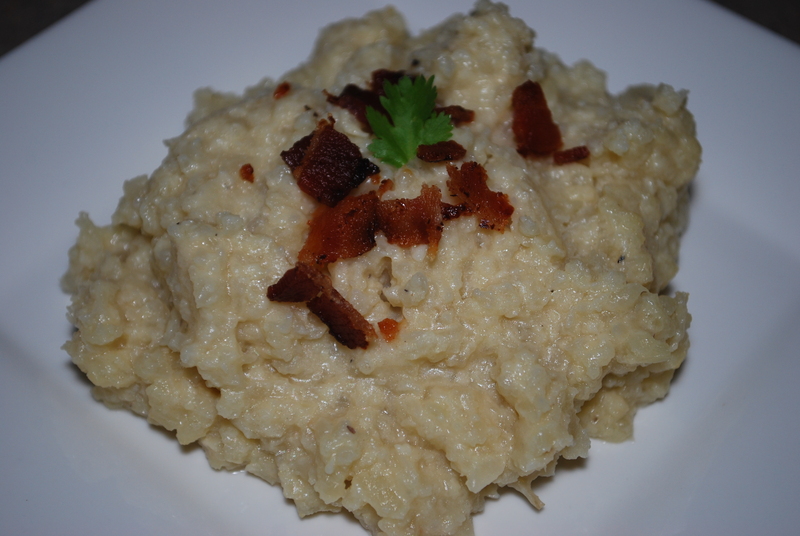 Process until the mixture is finely chopped but NOT mushy, it should be chopped fine but still chunky. 8. Scoop mixture into the mushroom caps – make them really full. 9. Spoon any remaining mixture around the mushrooms and cook your stuffed mushrooms in the preheated oven for 20 minutes or until brown and bubbly. 1. In a large skillet, heat the coconut oil over medium to medium high heat. 2. Sprinkle the pork on all sides generously with salt and pepper and then with the cumin powder. Use your fingers to rub the cumin into the pork loin. 3. Sear the cumin spiced pork in the hot coconut oil for about 3 minutes per side or until the pork is nice and brown all the way around. 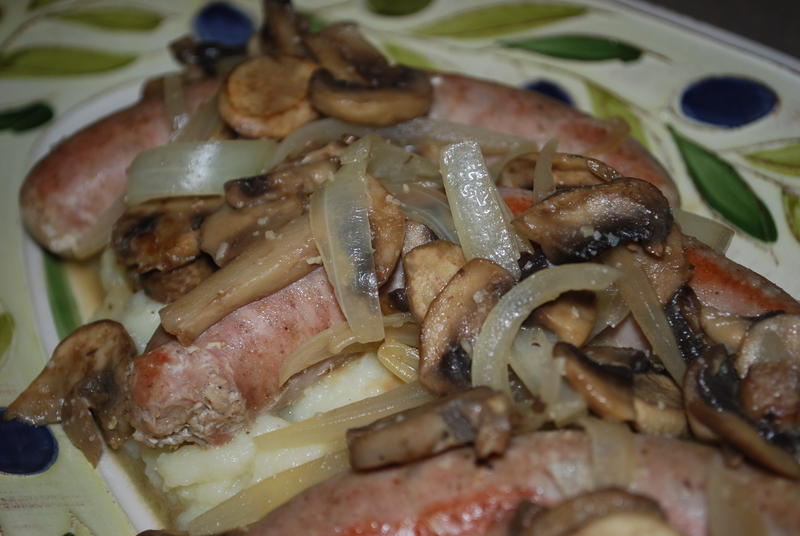 Move the pork from the skillet to the slow cooker and top with the sliced onions and mushrooms. 4. In the same pan that you seared the pork in, add the salsa, strained tomatoes, the 1 tablespoon of cumin, and garlic, and whisk together until bubbly. Taste and season with salt and pepper if desired. Pour the sauce over the pork, onions, and mushrooms in the slow cooker and cook on high for 5-6 hours or on low for 7-8 hours. 1. Mix all marinade ingredients together in a large mixing bowl. 2. Add steaks and mix together with your hands to make sure all the steaks are well coated. 3. Leave in the fridge for at least 45 minutes but the best would be for a day. Broil or grill for 7-10 minutes per side depending on thickness for a nice medium rare steak. For rare cook for 4-6 minutes each side. In a food processor throw in 1 jar of sun-dried tomatoes and ½ a jar of garlic stuffed green olives. Pulse until roughly chopped and serve on top of steaks. 1. Cover the bottom of a sauté pan with olive oil. 2. Sauté broccoli and carrots until crisply tender and add chicken. 3. Cover chicken with cinnamon, add two or three big dashes of ginger, two or three dashes of cumin, a dash of cayenne pepper (more if you like it really spicy), a dash or two of sea salt, and stir. Once the chicken and veggies are covered with the spices add the sliced olives and raisins and a few splashes of chicken broth to create a sauce. Simmer until all the flavors meld together (about 5-7 minutes) and serve. 1. Place the chunks of steak into a large mixing bowl and generously sprinkle with the basil, oregano, garlic, and cracked black pepper. 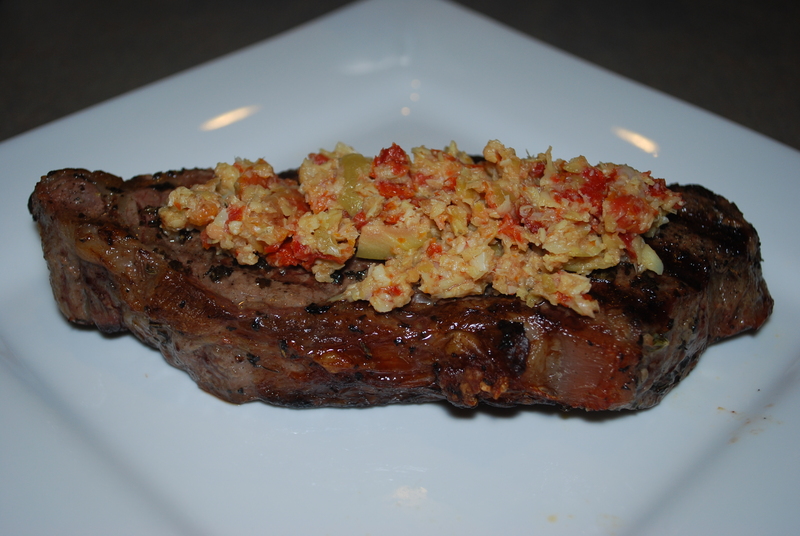 Add a pinch or two of cayenne pepper and mix well until all the steak pieces are covered with the spices. 2. 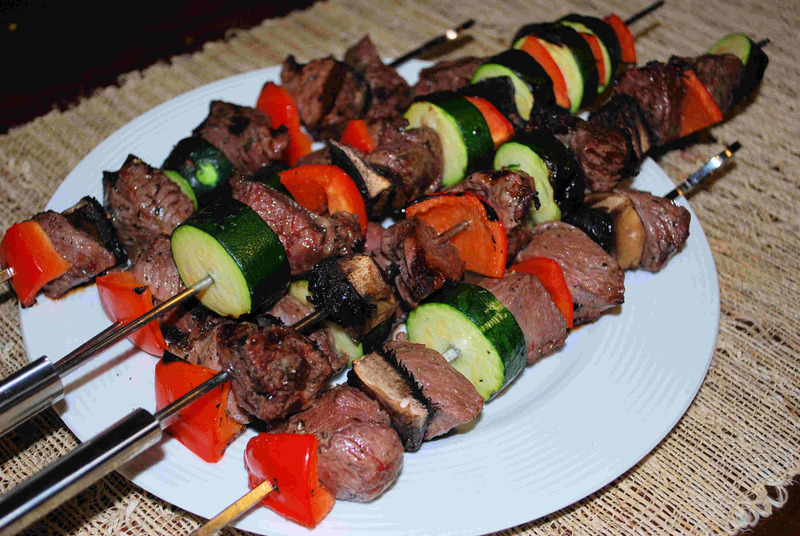 Take metal or bamboo skewers and alternate skewering pieces of the meat and veggies. 3. Cook over a medium high grill turning often for 7-10 minutes. 1. Sauté the sirloin (or chicken) and garlic in oil until the meat starts to brown. While the meat is browning, sprinkle with sea salt and pepper. 2. In a separate bowl, mix together the chicken stock, thyme, and mustard. Pour the mustard mixture over the meat and bring to a simmer. 3. Add the kale or spinach to the pan and cook, stirring often until the kale is tender (about 2 minutes). Serve immediately. 1. Butterfly the chicken breasts by cutting in half lengthwise. 2. Place the butterflied chicken pieces in between two pieces of parchment paper and with the flat side of a meat mallet, gently pound the chicken until it’s approximately ¼ inch in thickness. 3. 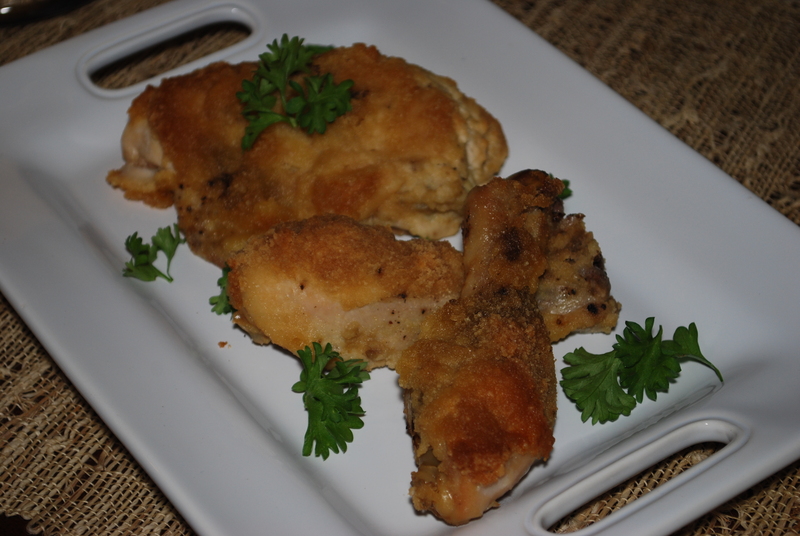 Cut the pounded pieces of chicken in half and set aside. 4. In a large sauté pan heat the 2 tbsp of ghee over medium high heat. Your pan should be really hot. 5. While your pan is heating lightly sprinkle both sides of the chicken with the sea salt and black pepper. Place the chicken into the hot skillet and cook on both sides for 3-5 minutes until the chicken is no longer pink in the middle but still tender – do not overcook – nobody likes rubber chicken. 6. Remove the chicken from the pan and add to the same pan the olive oil, garlic, and onions. 7. Using a wooden spoon, quickly sauté the garlic and onions for 2 minutes, scraping any of the chicken drippings off the bottom of the pan. 8. 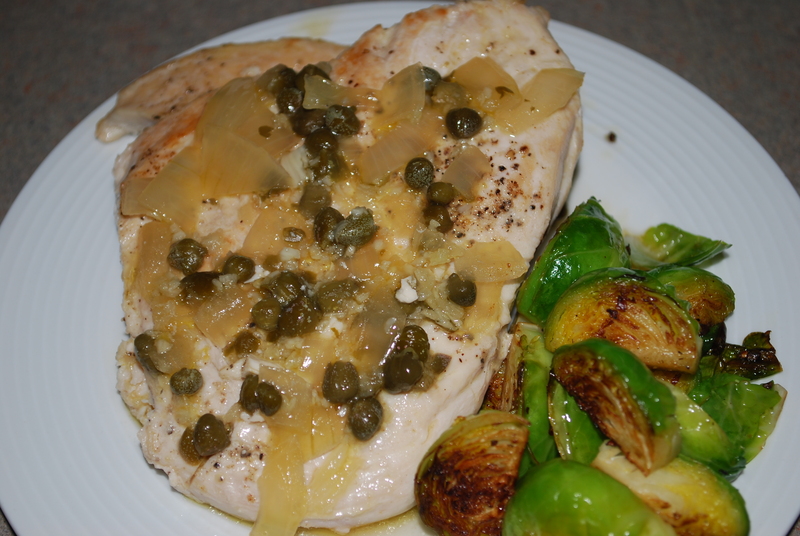 Add the wine, chicken stock, lemon juice and capers and bring to a simmer for 3-5 minutes. 9. Pour the sauce over the chicken and serve immediately. 1. Drain the water from the canned salmon and dump into a large mixing bowl. 2. Add the eggs, green onions, dill, ginger, red pepper flakes, black pepper, and salt and mix well. 3. In a large skillet heat the coconut oil over medium to medium high heat – make sure there is more than enough to cover the bottom of the pan. You’ll know the oil is hot enough when it crackles after flicking some water into the pan – but do not get the oil so hot that is smokes. 4. Form the salmon mixture one at a time into patties or “cakes” and place gently into the oil. Fry for 3 minutes on each side. IMPORTANT – do not mess with the patties once they are in the pan. Let them go for the full 3 minutes before you touch them or flip them or they will stick or fall apart. 5. 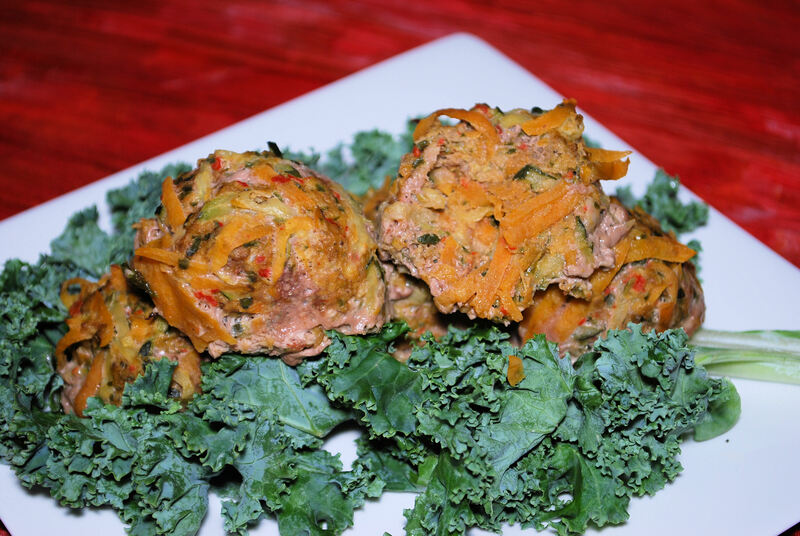 Serve the patties over a bed of the shredded green and purple cabbage with a lemon wedge and the ginger mayo. 1. In a blender or food processor place all ingredients except for the oil. 2. Cover and blend on low while you count to 5. Continue to blend while you slowly, VERY SLOWLY add the olive oil. Once all the oil is in continue to blend while you again count to 5. Shut the blender or processor down at this point, and ta-da: home-made ginger mayo for your best salmon cakes ever! Thanks Jes for the crock pot recipes. I’ve got soccer camp and swim lessons starting in two weeks so new crock pot ideas will be great to try out then.